Water is the foundation of human society and will become even more critical as population growth, development, and climate change put pressure on already-shrinking water resources in the years ahead. But will this scarcity fuel conflict between countries with shared waters, as some have predicted, or will it create more impetus for cooperation? At the Wilson Center on April 11, experts from USAID, the U.S. Department of State, World Bank, United Nations Development Program, Stimson Center, Global Environment Facility, and Stockholm International Water Institute described the opportunities and challenges surrounding international water cooperation. 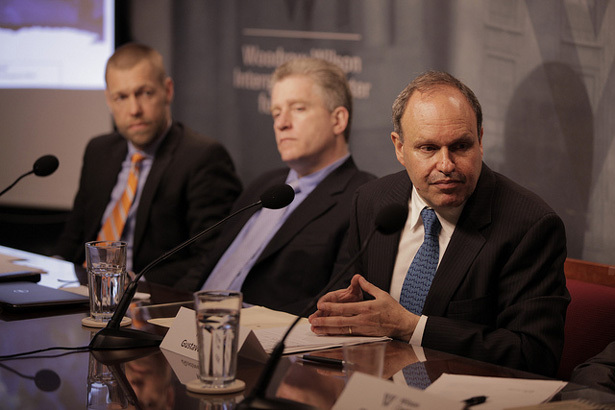 Aaron Salzberg, special coordinator for water resources in the U.S. Department of State’s Bureau of Oceans and International Environmental and Scientific Affairs, noted that while water can be a source of tension, countries historically tend to cooperate rather than fight over it. But water-related problems, including shortages and issues related to quality and food availability, can exacerbate already-existing tensions and distract countries from working on other priorities. Many major water basins like the Nile and the Indus are now “closed,” said David Michel, director of the Environmental Security Program at the Stimson Center. That is, all of their water has been allocated for human and ecosystem use. If too much water is used, quality can diminish to the point where it is unusable even for industrial purposes. But demand in these regions – both through population increases and changes in usage – is still increasing, adding pressure to at- or above-capacity systems. The tight margins in these basins means that the stakes are higher for riparian countries and there is less room to maneuver in treaty negotiations. Some of these basins support more than their local populations, said Anders Jagerskog, head of the Transboundary Water Management Unit at the Stockholm International Water Institute. Foreign investors are buying land, especially in Africa, to grow food and biofuels, he said. These land contracts often don’t include rules on allocation of water, leaving investors free to pump as much local water as they can. Jagerskog said that these “land grabs” can put additional pressure on already contentious transboundary water systems like the Nile. In Africa, water is the medium through which extreme events are filtered, said Gustavo Saltiel, program manager of the Africa Water Resources Unit of the World Bank. Droughts and floods put tension on people and countries’ economies and this tension can be translated to international negotiations over access. With the types of effects being seen in Africa related to climate change, there may be higher tensions around transboundary water rights than in the past. Alongside agriculture, more water will be needed to support burgeoning urban populations in Africa. Fortunately, the continent has great untapped hydropower reserves, said Saltiel. Less than 10 percent of Africa’s hydropower resources have been exploited, compared with over 70 percent in Europe and North America. But cooperation – and treaties – between riparian countries will be needed to develop this potential equitably and safely. Two-thirds of international water basins don’t have water-sharing agreements, said Jagerskog. And some of the agreements that are in place are not comprehensive, Michel followed up. He pointed to the famous 1960 Indus Water Treaty, which has survived three wars between India and Pakistan, but does not actually include two basin countries – Afghanistan and China. Many agreements are “static,” said Jagerskog, not taking into account changes in water availability or politics. A more holistic and responsive approach to developing water sharing treaties is needed, he said. 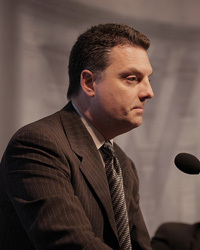 Andrew Hudson, head of the United Nations Development Program’s Water and Ocean Governance Program, said that the lack of coverage for the majority of basins is “illuminating.” He noted that the majority of large, well-known basins like the Nile River have water distribution frameworks in place. Smaller rivers are not as well covered and may still be at high risk for conflict, he said. Hudson also outlined the current international legal framework for transboundary rivers, which is based on two UN conventions: the UN Watercourses Convention and a convention initially established by the UN Economic Commission for Europe (UNECE). As the UNECE convention expands, the two treaties as a package could be “mutually reinforcing,” he said. In regions completely lacking governance of shared waters, the Global Environment Facility (GEF) brings people together to build the foundational capacity for cooperation, said Christian Severin, a senior environmental specialist and program manager. The ultimate goal is to establish strategic action plans and transformational change, but getting people in the same room is the first step, he said. In addition to looking broadly at basins of all size around the world, the GEF works to update existing agreements to allow countries to better cope with institutional change. New agreements will also take into account the water-energy nexus to distribute water among stakeholders with competing interests. Moving forward, Michel emphasized the need for more data. Misunderstandings and myths surrounding water usage and availability are often the source of tension, said Salzberg. Collecting and communicating accurate information improves decisions and creates more engaged stakeholders. But Michel also warned that while more and better information can aid decision-makers, it will rarely provide them with perfect answers – at some point tradeoffs will likely have to be made, which is the job of politicians, not engineers. Saltiel drew on an example of a transboundary agreement that highlighted these types of tradeoffs. During the construction of a recently-completed hydropower plant on the Kagera River, which flows through Burundi, Rwanda, and Tanzania and supplies electricity to all three countries, Burundi lobbied for an option that would maximize energy production but displace 50,000 people in Rwanda. In the end, the countries compromised, and only 900 people were displaced. But that decision needed to be made through the political process. Cynthia Brady, senior conflict advisor for the Office of Conflict Management and Mitigation at USAID, suggested that one way to moderate these tensions is to incorporate the points of view of all stakeholders, including grassroots organizations and civil society. She said it is crucial to balance both the technical and political solutions to maximize the benefit and minimize the harm of agreements and infrastructure projects. Sources: Nile Basin Initiative, World Bank. 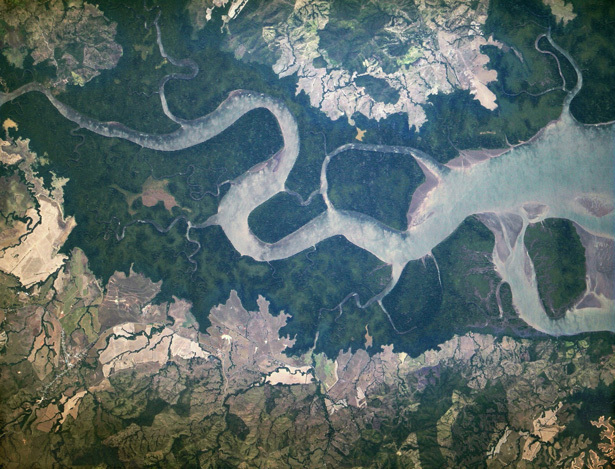 Photo Credit: Rio San Pablo, courtesy of NASA; Event photos courtesy of Schuyler Null/Wilson Center.